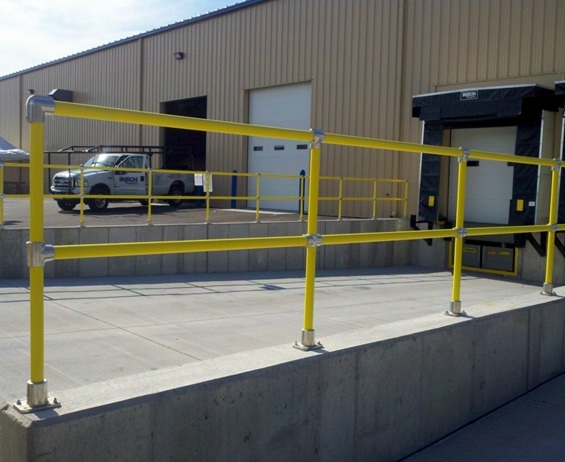 Secure handrails for maximum safety. Made of 1-1/4" schedule 40 steel, sleeved with high-density polyethylene thermoplastic. OSHA yellow standard, custom colors available. 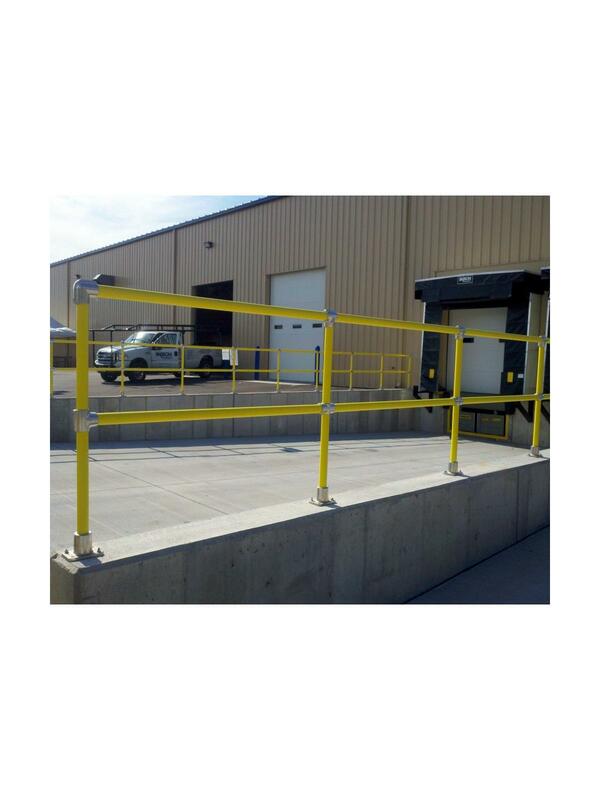 Handrails come fully assembled and offer easy installation. Core-In or Bolt-In applications. All rails are 42"H. with 21" midrail. Meets OSHA fall-protection standards. Ask about weighted feet for free standing fall protection. Custom sizes available -- please contact us for details. FOB Shipping Point.